LOVELL'S BLADE" signs to "CLASSIC METAL RECORDS" for South American release of "STONE COLD STEEL"
Pete Lovell..."We are very excited and honoured to be able to colaberate with "Classic Metal Records" for the release in South America of our debut album. This completes our signings and we now will be released in most major markets of the world.. Together with "Divebomb records" and "Into the Limelight records" we have a great team working together to achieve a worldwide coordinated release." 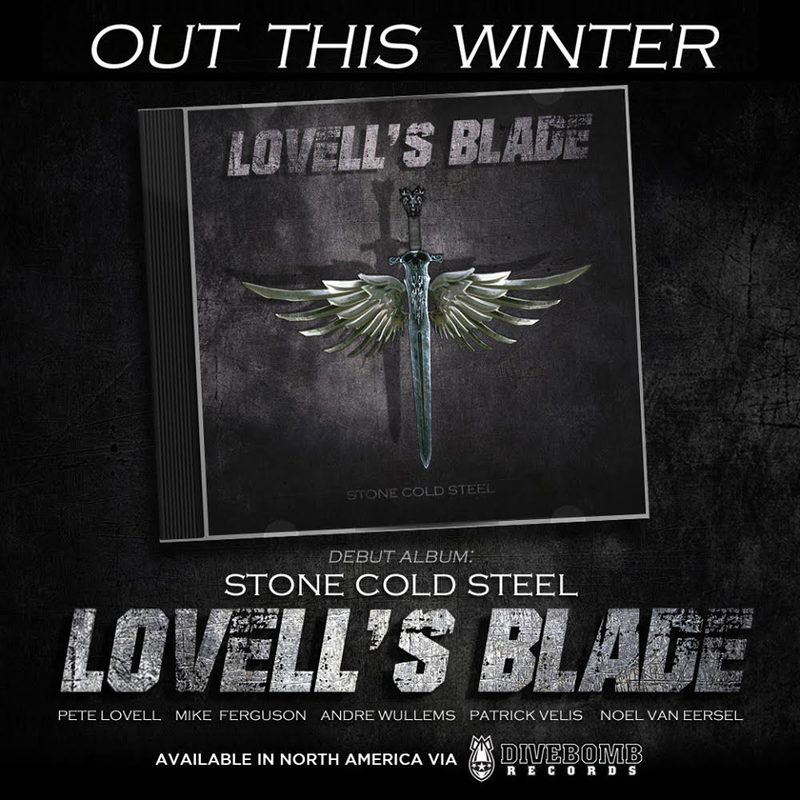 OUT FEBRUARY 10th 2017, Lovell's Blade debut album "Stone Cold Steel"
LOVELL'S BLADE signed an exclusive European and Asian record deal with Into The LimeLight Records for their upcoming debut Stone Cold Steel album and a physical and digital distribution deal with Soulfood Music Distribution. Their debut album, Stone Cold Steel, was recorded and mixed by Serge Naberman at the prestigious Claim To Fame Studios. The record is scheduled to be released via Divebomb Records in North America and through Into The LimeLight Records in Europe and Asia this winter. "We were very keen to sign Pete's new band. As Dutch label we are able work very closely with the band and are absolutely convinced that this record will be a big success. The experience and quality of all individual musicians and the fact that there is a big world wide interest in the band makes it a very exciting project. We are also looking forward to work together with Divebomb Records". "After having previously worked with Pete Lovell on reissuing his music endeavors with Picture and Emergency it only made sense that we help to promote this brand new chapter. We look forward to bringing LOVELL'S BLADE to music fans all over North America this winter." The release of Stone Cold Steel will coincide with a new video clip and a number of European dates starting beginning 2017. A South American tour is being planned by Open The Road tour promoters for the second half of 2017. Lovell's Blade and Open the Road Agency commence plans for South-American tour 2017. Their debut album, Stone Cold Steel , was recorded and mixed by Serge Naberman at the prestigious Claim To Fame Studios and is scheduled to be released via Divebomb Records in North America this winter. European territory release is still under negotiations at press. The release of Stone Cold Steel will coincide with a new video clip and a number of European dates starting in December. 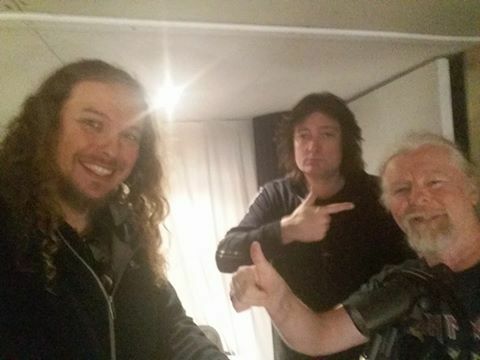 Mike Ferguson and Andre Wullems doing the deed at the Claim to Fame Studio with Serge Naberman. Arrived at the Claim To Fame studio with Serge Naberman. Pete Lovell and Mike Ferguson getting started to record some old school rock for our debut album with Lovell's Blade. 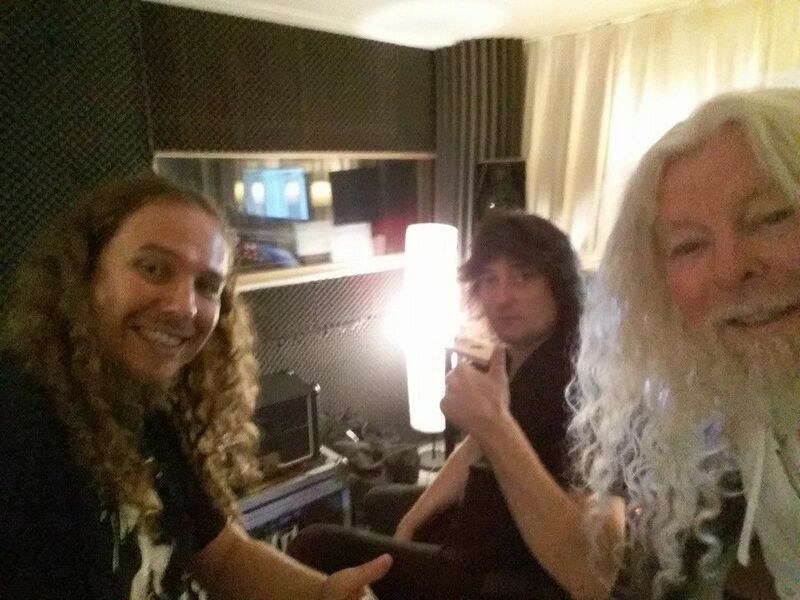 Some exciting news: Lovell's Blade ( members Picture) will be recording their debut album together with producer Serge Naberman! Now that's gonna pierce your ears!! "The pre production demo is ready and we start recording the album next week... Lovell's Blade album will be great.. We have already different options for Record companies for the release...hopefully in November"
All songs are written for the upcoming album. Coming Sunday rehearsals to work on the final touches of the new tracks..and maybe some songs from Eternal dark and Traitor. Open the Road anuncia mais um artista fixo em nosso roster de 2017. 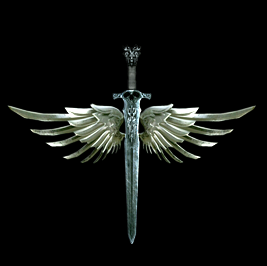 Seja bem vindo Lovell´s Blade, a nova banda de Pete Lovell, Andre Wullems e Mike Ferguson, ex Picture. Vem Heavy Metal de primeira por ai. Aguardem ! 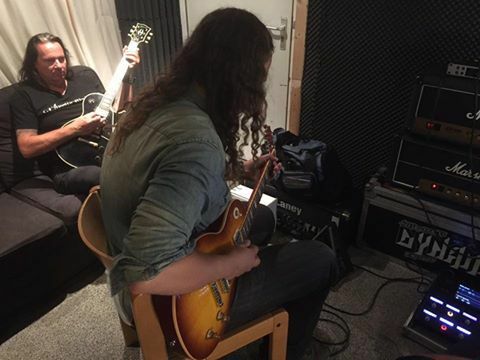 We inform you that Lovell's Blade rehearsed for the first time yesterday..for 5 hours...three new songs for the new album and did some songs from eternal dark ! !